Fitness with Jill: What is Bellyfit? Today I would like to introduce you to one of my favourite classes to teach - Bellyfit. Bellyfit is a holistic fitness class that offers so much more than just another dance-based fitness class. It is designed exclusively for women and takes inspiration from bellydance, african dance, bollywood, bhangra, as well as yoga and Pilates. Bellyfit is a workout for the body but also connects with the mind and spirit. Watch the video below to hear what creator of Bellyfit Alice Bracegirdle has to say about it. 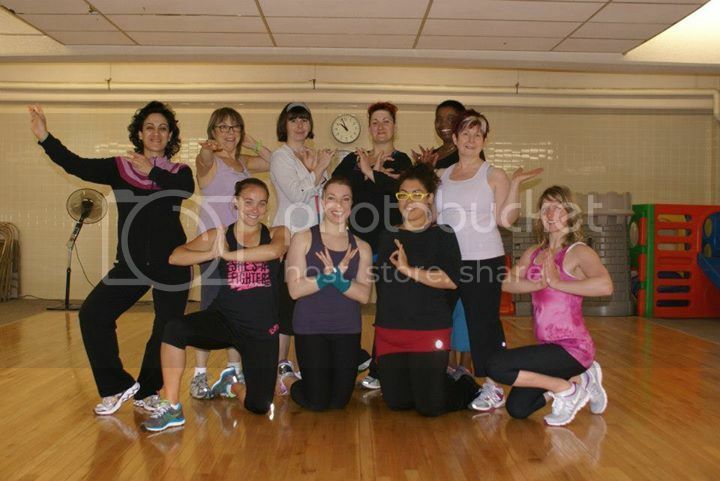 Bellyfit is a Canadian creation originating in Victoria, B.C. I was first introduced to it in 2011 at a fitness conference I went to that Alice Bracegirdle was presenting at. I fell in love with the class format right away and had an opportunity to chat with Alice after the class. I completed my instructor training in the summer of 2012 and now it's one of my favourite programs to teach. It's very different from Zumba(r) because the class has a much more defined structure. - Cardio - here's where the work begins. You learn 2 cardio combinations and put them together to get a good sweat on! - Core work - a strong core is essential for everyday life. Bellyfit has unique ways of incorporating core strengthening drawing inspiration from Pilates and yoga. - Closing mediation - Hold on for one last moment before heading back out into your busy life! Sounds great - Where can I find classes?! The best place to start looking is online on the Bellyfit website here. If you're in the Saskatoon area, I teach with the Lakeview Community Association. If you can't find any classes near where you are you could always see if there's a training you could take (and start teaching!) or purchase the Bellyfit Elements videos! Does this sound like fun to you? Would you give it a try? If you need more information or are interested in becoming an instructor, contact me with any questions you might have!